Test your knowledge on what science says about Santa and his ability to travel the world in one night! Don’t forget to download your certificate when you are finished! Santa travels the entire world in one night. He could conceivably do this if he managed to shrink space time in front of him and expand it behind him. Which theory would allow this? Which branch of physics would study Santa (if he managed to gain this ability) to travel quickly involving particles that can tunnel through barriers (because their position isn’t a definite point but a wave spread out over space)? 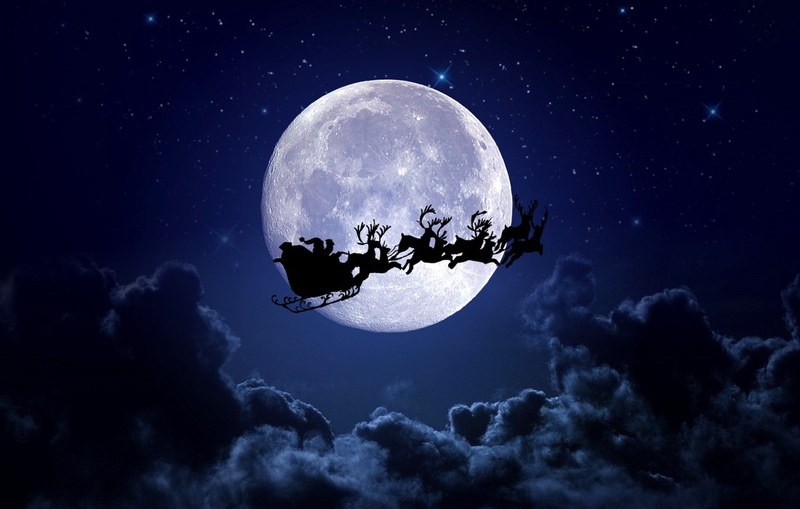 If Santa had the ability to replicate his sleigh and send it to various countries allowing for tech to generate sleighs and possibly toys to deliver to every home...which physicist most likely would have helped him given his ideas for space travel? What would the minimum speed of Santa's sleigh be in order to make his trip around the world in one night? If there are 350 million children in the world and each child gets about 2 lbs of toys...what would the energy calculation be in order to meet the speed of light allowing Santa to hypothetically time travel? (we are ignoring the weight of the sled, Santa, and the reindeer). That's soooo much energy I am tired now! I can't believe he would feed that many reindeer! Given Santa has the ability to fit into chimneys seemingly to defy physics by manipulating mass, a thought might be that he is mostly fluff and fur but not full of traditional human mass. What other animals are similar to Santa in this regard of fitting into small spaces? ALL OF THE ABOVE FLUFFY THINGS! In regards to Rudolph's nose, the song says it is shiny. "Shiny" does not make for a good fog lamp, why? Shiny means glow therefore it absorbs light. Shiny means metallic therefore it gives off light. Shiny means reflect therefore it only lights up when another light source hits it. If Santa is able to travel at the speed of light, what would the inherent problem be that he would need to overcome in order to not die? Too much oxygen overloading his body. Moving rapidly through the earth's atmosphere causes thing to burn up. Cardiac arrest from doing something that has never been done before. What do you wish Santa could bring to the world?